TORONTO (June 7, 2015) On Sunday, the Canadian Olympic Committee (COC) and Roller Sports Canada announced the roller speed skating and figure skating athletes nominated to represent Team Canada at the TORONTO 2015 Pan American Games from July 10 to 26. 5 athletes have been selected to compete in the roller sports competition, 4 in roller speed: Jordan Belchos; Morgane Echardour; Christopher Fiola and Valérie Maltais and one in roller figure: Kailah Macri. Leading the speed skating team will be two-time Olympian and Sochi 2014 silver medallist in short track speed skating, Valérie Maltais while the lone member of the figure skating team will be Kailah Macri. Roller speed skating competitors wear four-wheeled skates in which the wheels are aligned in a single row. All races begin from a standing start. Skaters are not permitted to block, push, hold or otherwise hinder the progress of an opponent. Having held its first world championships in 1938, roller speed skating made its Pan American Games debut in 1979 and has been on the program at every Games since then with the exception of 1983. Roller figure skaters compete in traditional four-wheel skates aligned in pairs at the toe and heel. Just as in ice figure skating, competitors are judged on choreographed routines set to music that incorporate jumps, spins, footwork and other dance-like elements. Having held world championships since 1947, roller figure skating made its Pan American Games debut in 1979. After an absence in 1983, it has been on the program of every Games since then. 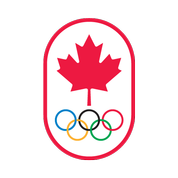 The speed skating competition will take place July 12 – 13 at the Pan Am Aquatics Centre while the figure skating competition will take place at the Exhibition Centre July 11–12. the speed skating events include: women’s 200m time trial; women’s 500m; women’s 10,000m points; men’s 200m time trial; men’s 500m; and men’s 10,000m points. Events in figure skating include: women’s free skating, men’s free skating.